Gillian Mulvale is an assistant professor of health policy and management at McMaster University’s DeGroote School of Business and a member of CHEPA. She holds a PhD in health research methodology from McMaster University, an MA in economics from Western University and a post-graduate diploma in health services and policy research. Mulvale researches issues in mental health policy and service delivery, through the lens of health policy analysis and health economics, to support the development of coordinated, person-centred and recovery-oriented care. 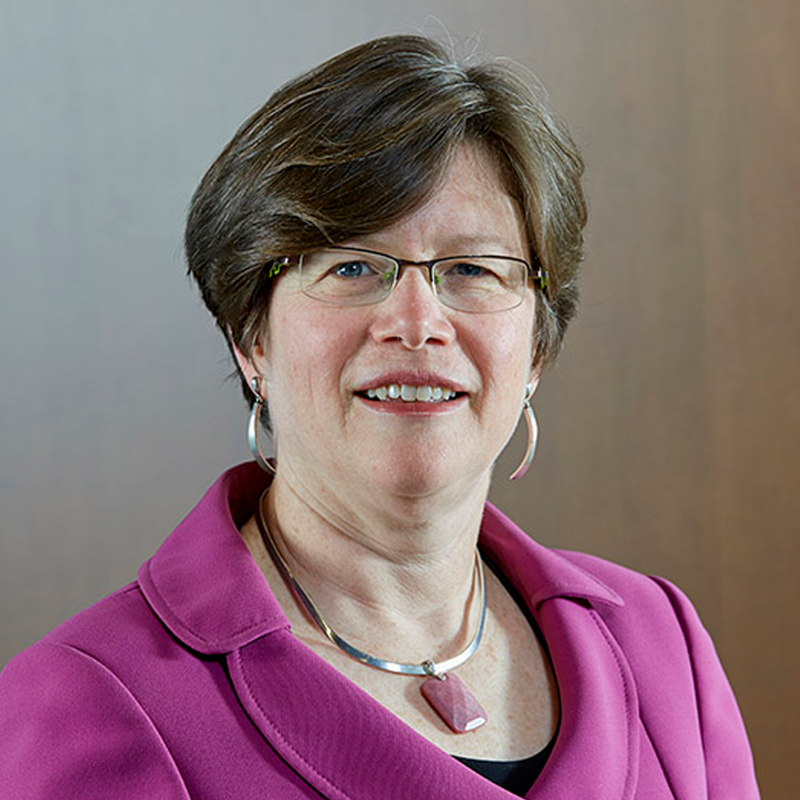 A former director of Applied Research and Policy Analysis for the Canadian Health Services Research Foundation where she led the Healthcare Financing, Innovation and Transformation Initiative (HFiT). In a previous role with the Mental Health Commission of Canada, Mulvale co-authored and helped develop the stakeholder and public engagement process for Toward Recovery and Well-being, which laid out the foundational goals upon which the Mental Health Strategy for Canada is based. Mulvale has experience in developing and researching interdisciplinary models of primary health care delivery, which she gained as an embedded researcher from CHEPA within the Primary Care Team at the Ontario Ministry of Health and Long-term Care. She teaches health policy analysis and health care funding and resource allocation. Mulvale, G., Longo, C., Randall, G., Barr, N. (2015). Child: Care, Health & Development. Mulvale, G. (2015). Effectiveness of Health System Services and Programs for Youth to Adult Transitions in Mental Health Care: A Systematic Review of Academic Literature. Administration and Policy in Mental Health and Mental Health Services Research, 42(1), DOI 10.1007/s10488-015-0638-9. through deliberative dialogue to create the first Mental Health Strategy for Canada: Changing Directions, Changing Lives. Social Science and Medicine, 123, 262-268. Mulvale, G. (2013). Framing people as the problem: The effects of problem definition in ‘Brian’s Law’ on people with mental illness. McMaster University Medical Journal, 10(1): 36-38. Mulvale, G., Jayabarathan, A., Law, S., Haggerty, J. (2013). Developing an Evaluation Framework for Consumer-Centred Collaborative Care of Depression Using Input From Stakeholders. The Canadian Journal of Psychiatry, 58(3), 160–168. A Child and Youth Mental Health and Addictions Framework for the Yukon: Final Research Report. Chodos, H., Mulvale, G., Bartram, M., Towards Recovery and Well-Being: A Framework for a Mental Health Strategy for Canada, Mental Health Commission of Canada, 2009. Arnold, I.M., Mulvale, G., GermAnn, K., Baynton, M. (2011) “Opportunities Abound to Improve Mental Health and Psychological Safety in the Workplace,” HealthcarePapers, Vol. 11(Sp):85-90. Mulvale, G. and Bartram, M. (2009) “Recovery in the Canadian Context: Feedback on the Framework for Mental Health Strategy Development,” Canadian Journal of Community 7 Mental Health, Vol. 28 (2), Fall. Mulvale, G. and Hurley, J. (2008) “Insurance Coverage and the Treatment of Mental Illness: Effect on Medication and Provider Use.” Journal of Mental Health Policy and Economics, Vol. 11(4), 177-199. Mulvale, G., Danner, U. and Pasic, D. (2008) “Advancing Community-Based Collaborative Mental Health Care through Interdisciplinary Family Health Teams in Ontario.” Journal of Community Mental Health. Vol. 27(2), Fall. Mulvale, G., Abelson, J., and Goering, P. (2007) “Mental health service delivery in Ontario Canada: how do policy legacies shape prospects for reform?” Health Economics, Policy and Law, Vol. 2(4), 363–389. Mulvale, G. and Bourgeault, I. (2007) “Finding the Right Mix: How Do Contextual Factors Affect Collaborative Mental Health Care in Ontario?” Canadian Public Policy, Vol. (XXXIII), Special Supplement on Health Human Resources Policy in the 21st Century: 49-64.